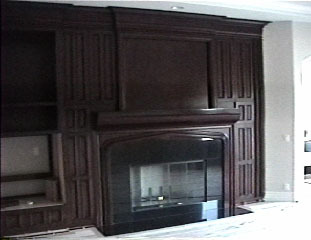 The Panels beside this unit are actually Cabinetry for Storage. The Mantel is a Quarter-round Shelf. 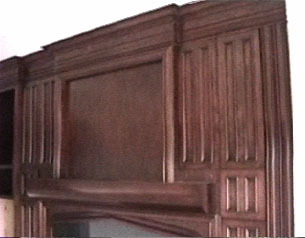 Above the Mantel is an inset for a Portrait. 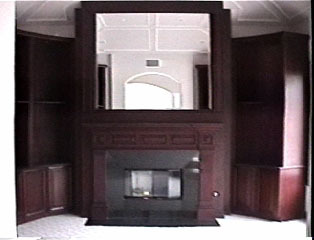 The Entertainment Center sets beside the Fireplace and Mantel. 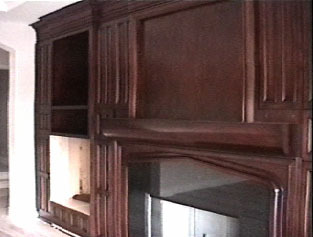 Another View of This run of Cabinetry. 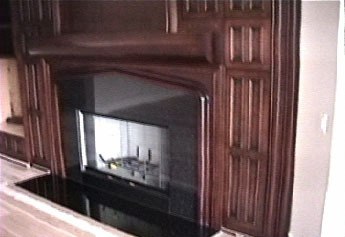 A Large Mirror set above the Mantle in the Library. 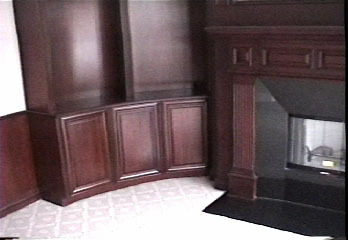 Cabinetry built on the Radius about the Room. 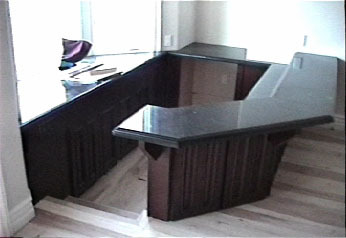 The Sunken Bar with the Cabinetry mounted via a Cantilever support to the Slab.